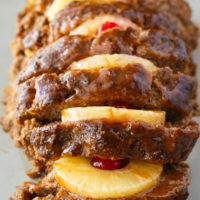 Caribbean Meatloaf is juicy with a sweet tang! This easy meatloaf recipe is a surefire hit. We love meatloaf recipes in our home. Though it’s fine to just enjoy a classic meatloaf recipe, sometimes I like to change things up a bit. 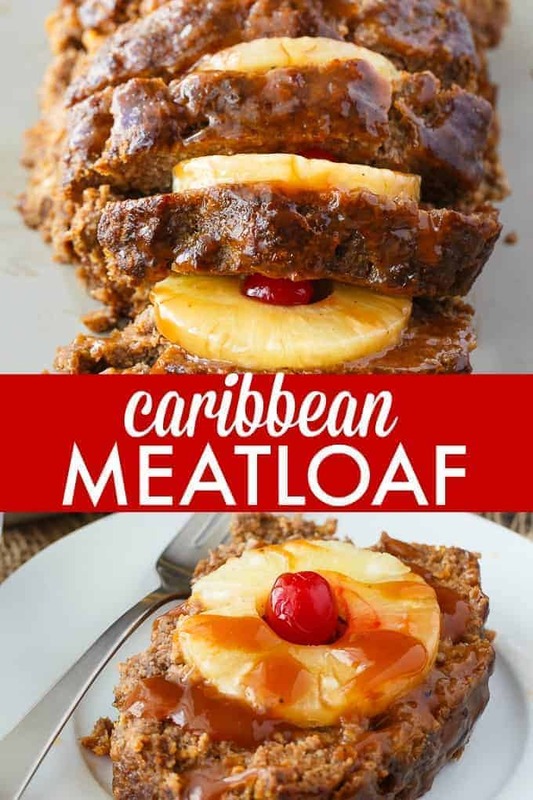 Caribbean Meatloaf may not be a traditional Caribbean recipe, but its flavors are reminiscent of what I’d expect from visiting the region. I’ve been meaning to post this recipe for the last month, but I’ve been soooo darn sick. I got hit hard with a flu and then a nasty sinus infection which I’m still battling. I apologize for not getting as much content up as you would expect from. Hoping to be on the mend now! 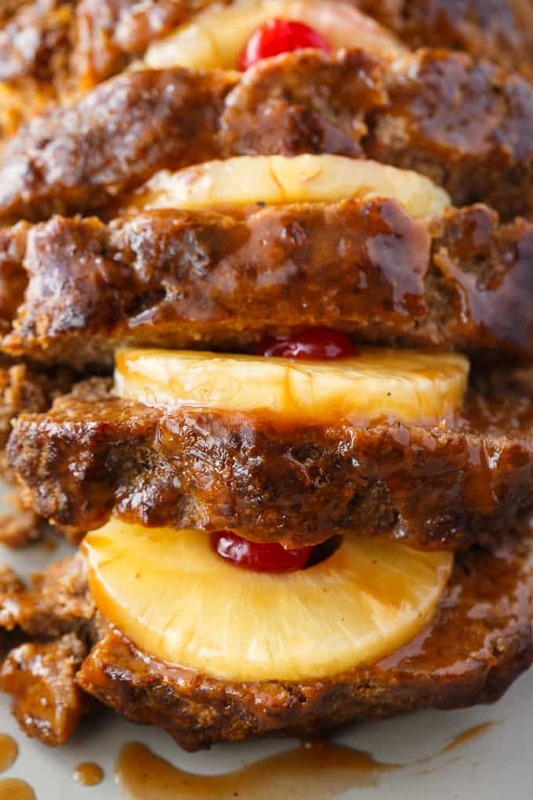 My favorite part of this recipe is the sweet and flavorful sauce made of pineapple syrup and barbecue sauce. I drenched my meatloaf in it and it was so delicious! It’s also a pretty presentation if you are having guests over and want to impress. The addition of pineapple slices and cherries really sends it over the top. When I make this recipe, there are never any leftovers. Meatloaf does not last long in my home. It has the typical meatloaf ingredients you would expect like ground beef, eggs and bread crumbs. To give it the tropical flavor, add in pineapples and maraschino cherries. The sauce is made of a mixture of pineapple syrup reserved from the can of pineapple slices, water, cornstarch and barbecue sauce. I like Sweet Ray’s Barbecue Sauce the best, but use whatever you have in your fridge. 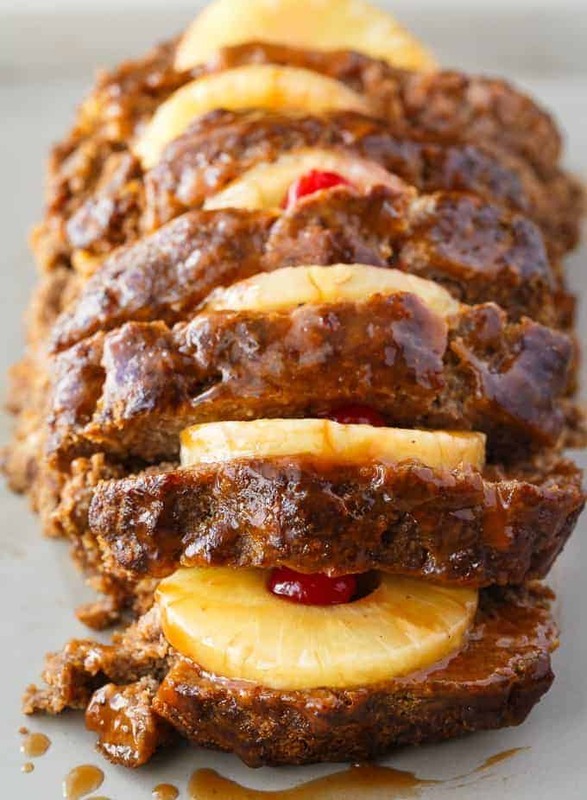 Learn how to make Caribbean Meatloaf in a few simple steps! Start by mixing ground beef, bread crumbs, barbecue sauce, eggs, salt and pepper. 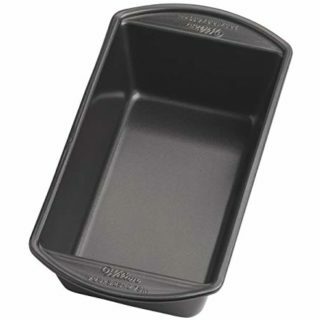 Pack into a loaf pan. Bake the meatloaf for 1 hour 5 minutes at 350F. Once done, invert on a platter and cut into slices. 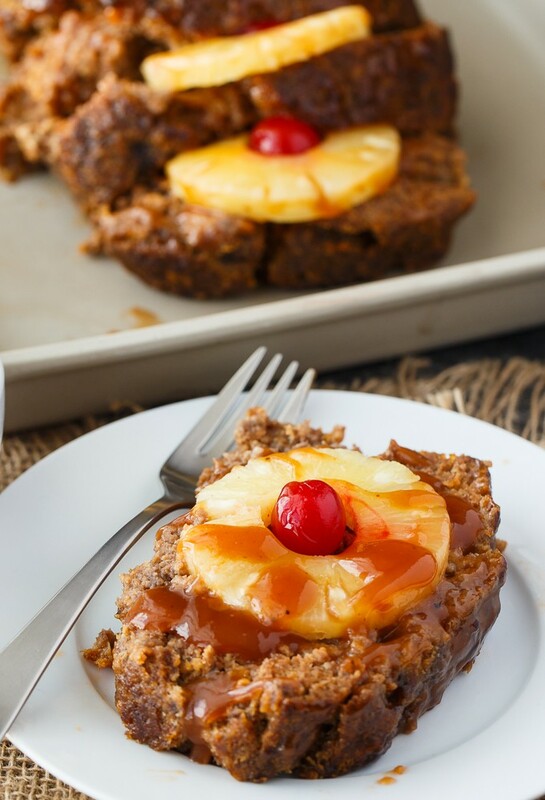 Add a slice of pineapple in between each slice of meatloaf. Insert a cherry inside each pineapple slice. 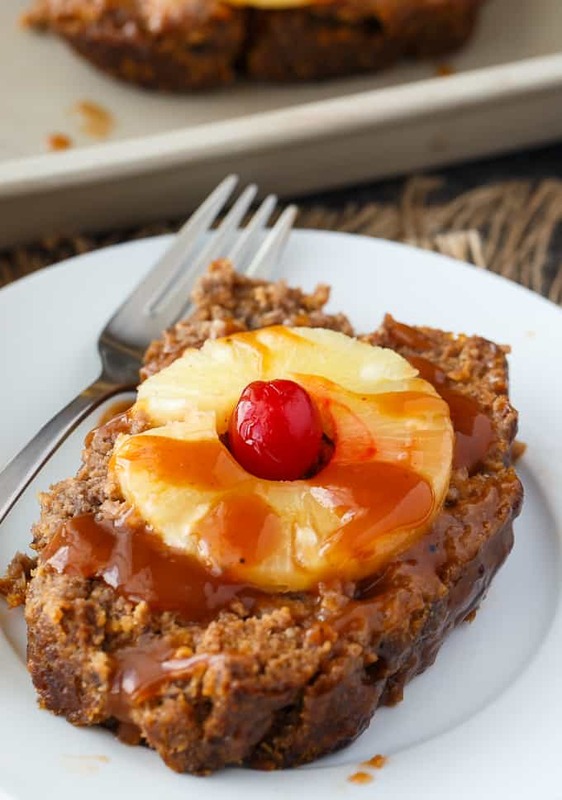 To make the Caribbean Meatloaf sauce, add the reserved pineapple syrup, water and cornstarch to a pot on the stove and bring to a boil. Stir constantly. Turn down the heat to medium and continue to cook until the sauce thickens. Stir in barbecue sauce. Pour the sauce over the meatloaf and serve. Delish! 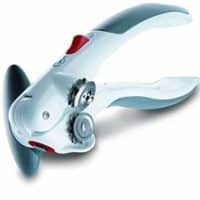 These kitchen tools will help you prepare this yummy recipe. Are you crazy about meatloaf, too? 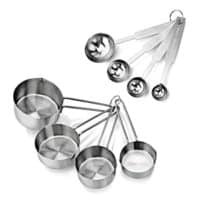 Check out these yummy recipes. 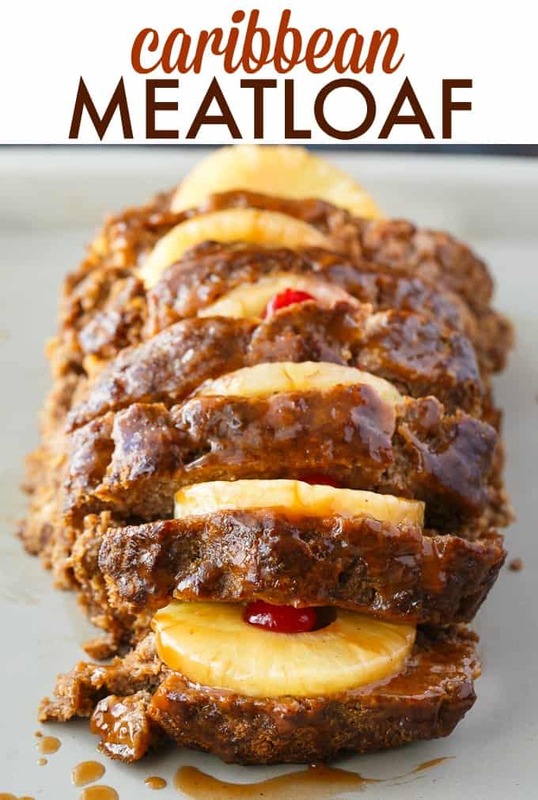 Sunday Meatloaf – A delicious family recipe! This easy meatloaf has a flavorful stuffing filling and is topped with a mouthwatering tomato sauce and bacon. Indian Meatloaf – Not your momma’s meatloaf! This is Indian Meatloaf recipe is packed with spicy exotic flavours of the far east. Mexican Meatloaf – A spicy twist on a classic recipe! This Mexican Meatloaf is packed with beef, cheese, seasonings, chilies and salsa. The results is a mouthwatering meal! Juicy with a sweet tang! This easy meatloaf recipe is a surefire hit. In a large bowl, mix together ground beef, bread crumbs, barbecue sauce, eggs, salt and pepper. Pack into a loaf pan. Bake for 1 hour 5 minutes. Invert on a platter and cut into slices. 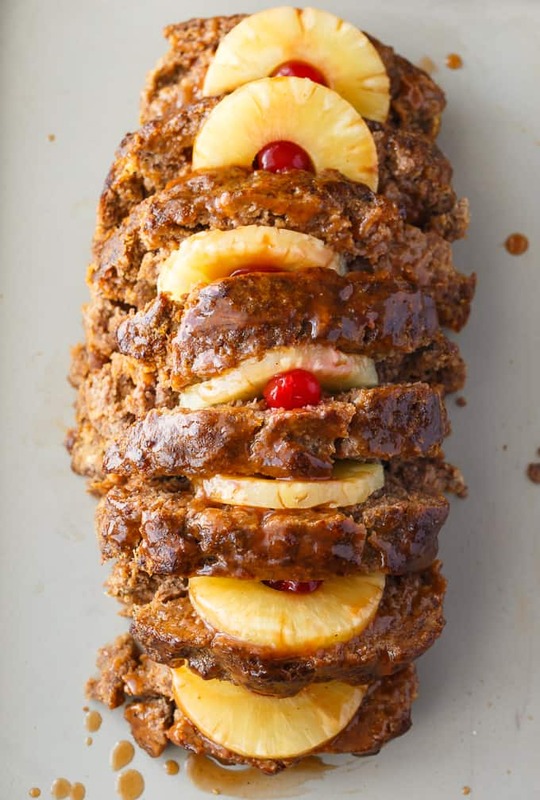 Add a slice of pineapple between each slice of meatloaf. Insert a cherry inside each slice of pineapple. To make the sauce, add reserved pineapple syrup, water and cornstarch to a pot and bring to a boil. Stir constantly. Turn down heat to medium and continue to cook until thickened. Stir in barbecue sauce. Pour sauce over meatloaf and serve.